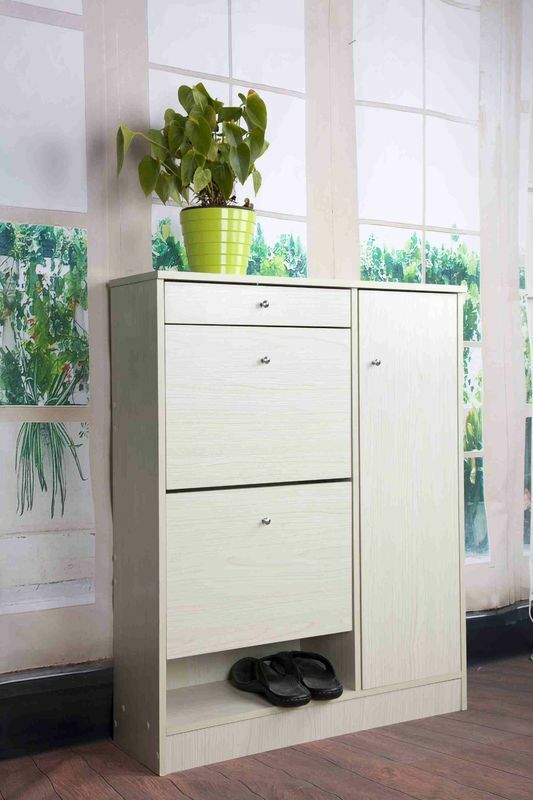 Perfect for the bedroom, powder room and entryway, this practical shoe cabinet helps you get organized with style. 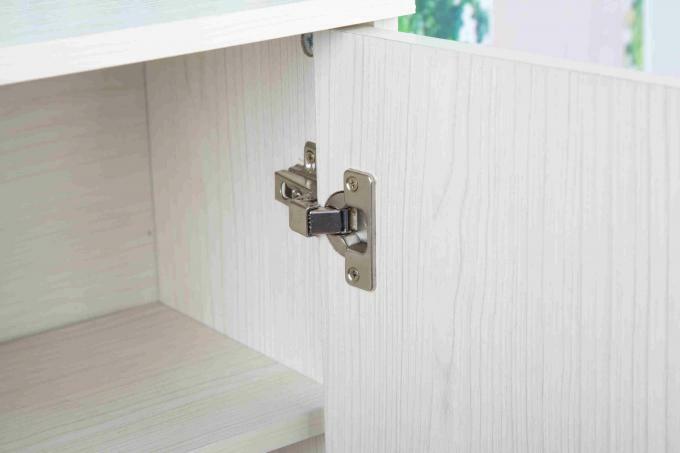 Concealed storage meets contemporary design. White finish and decorated with shaped vacuum formed fronts. 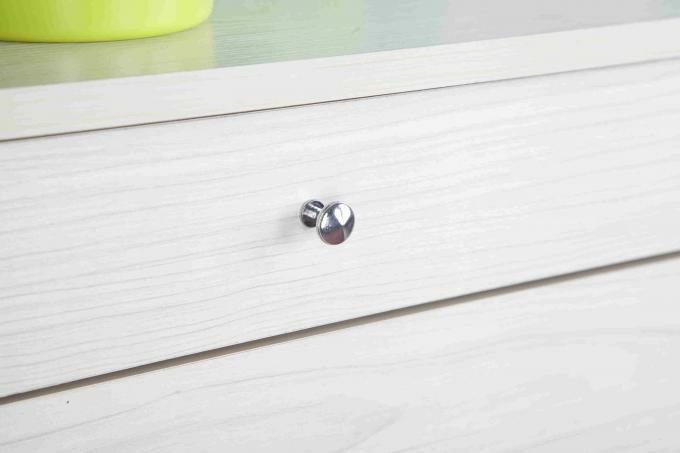 Drawer opens with a round pewter colored handle for easy opening. 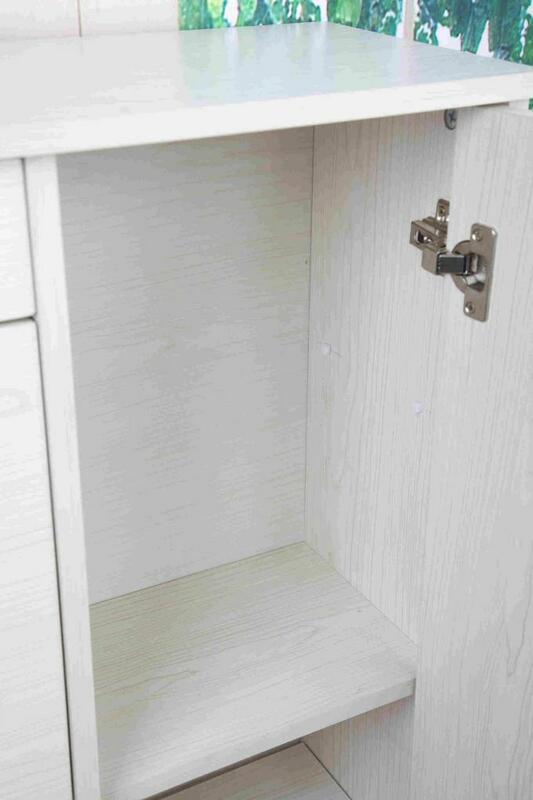 2 drawers swivel open on a uniquely designed plastic bracket to 2 fixed shelves. Able to store up 14 pairs of shoes. Max size men's 10. 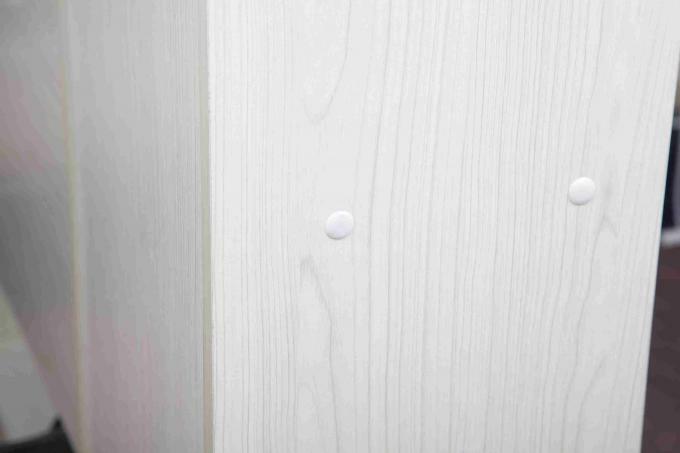 Constructed of PB Board.